Work life balance or work life integration? The topic/debate about work life balance has been on my mind for quite some time now. Mostly because I’ve witnessed many of my team members/peers/friends across departments and organizations complain about not going off balance often. Only after writing most of this piece and then researching Google for how much has been written about the topic, I figured that this has been a hot topic researched by many scholars off late. 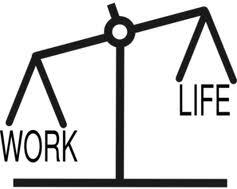 So while all of us know and realize that there’s been a lot of debate about work life balance in HR circles as well as amongst employees in last few years, what is work life balance anyway? Restricting work hours to usual 8/9 hours? So do most of us really work longer than 9 hours – on a regular basis? Traditionally, employees used to work in regular 8/9 hr shifts (mostly 9AM to 6PM) and seems that’s what they called a balanced life – doing work during work time and not thinking about work after stepping out from office premises. The definition hasn’t changed amongst many employees even today. But the truth is that most of us, at least in the Services industry, have started working with global customers (and therefore different time zones) in last few years, and job requirements demand us to be available for longer than the usual 9 hours. But is “being available” same as “working” for longer than 9 hours – on a regular basis? For the rest of us, a lot of times all of us have bouts of increased workload on certain days, but we also have windows of idle time on other days. There are lot of times when we have busy mornings, but there are also times when we have free evenings. And, that’s because no organization plans for over 8 hours of work for any employee/project/team on a regular basis. We’re mostly available for personal life 24/7, then why not for work? Perhaps we should focus on “blending/integrating” work with life rather than looking for a balance. Once we do that, the balance will follow through. Of course, we’ll all need to like and own our work as much as we like and own other aspects of our lives. So, is it really about work life balance or work life integration? What do you think?